Acclaimed author and philosopher Jeremy Naydler, Ph.D. is our guide as we explore what a full-scale deployment of 5G may mean for humanity at this critical time… and how we can help create a better alternative. Be sure to read his conclusion. 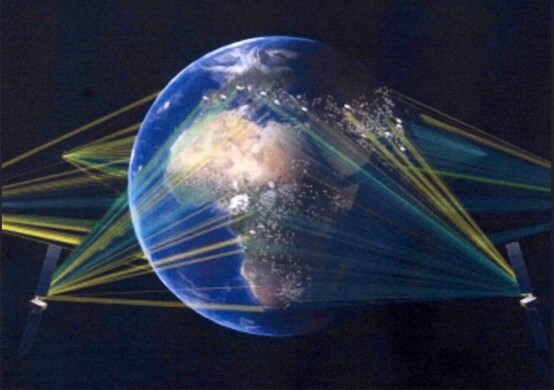 In November of 2018, the United States Federal Communications Commission (FCC) authorised the rocket company SpaceX, owned by the entrepreneur Elon Musk, to launch a fleet of 7,518 satellites to complete SpaceX’s ambitious scheme to provide global satellite broadband services to every corner of the Earth. [W]hat is really driving it is the creation of the conditions within which electronic or “artificial” intelligence will be able to assume an ever greater presence in our lives. FIGURE 3: Frequencies and wavelengths of smartphone, Wi Fi and 5G. The National Infrastructure Commission, whose 2016 report, Connected Future, forms the basis of current Government policy, pushed this panicky vision of the UK falling behind other nations and urged the government to ensure that the new digital infrastructure is fully in place by 2025.13 The NIC report repeatedly points out that the rewards of the “connected future” are to be measured in billions of pounds worth of revenue. Beyond the health effects there is another level altogether of what the roll out of 5G actually entails. To gain a perspective on this, we should remember that it was not so long ago that the Earth’s electromagnetic field was undisturbed by human-generated electromagnetic frequencies. Before the 1880s, there were only two main causes of electromagnetism, both of them natural: the lightning of thunderstorms, which also set in motion the very weak, low frequency resonances known as Schumann Resonances, and sunlight. Lightning and sunlight produce effects in specific, and very limited, parts of the electromagnetic spectrum. The very idea that such a thing as “electromagnetism” and an “electromagnetic spectrum” existed was not even entertained before the nineteenth century. And, from the point of view of the pre-electrical age, the truth of the situation was that they indeed did not exist as a factor of experience. Beyond lightning and sunlight, the energies of the electromagnetic spectrum did not impact on human life, for they were entirely dormant (fig.6). FIGURE 6: Natural background electromagnetic radiation, showing frequencies in cycles per second. In that pre-electrical world, both lightning and sunlight were regarded with a certain degree of awe, as natural phenomena expressive of powers greater than anything human beings could muster. In antiquity both were associated with gods – lightning with violent storm gods invariably with Underworld associations, like Seth, Baal and Zeus; and sunlight with sublime solar deities like Ra, Shamash and Apollo. In the later Judaeo-Christian era the widespread sense that these phenomena had a spiritual source persisted, with lightning regarded as expressive of the divine wrath, and the light as the garment of the cosmic Logos. We touch here a deeply felt relationship to nature that has been largely eroded in the centuries since the Scientific Revolution. In the course of the eighteenth and nineteenth centuries, both lightning and light were stripped of their spiritual numinosity, thereby clearing the way for an entirely materialistic explanation of light, and an entirely technological approach to electricity. 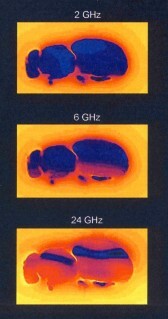 In the early days, the frequencies utilised were at the lower end of the electromagnetic spectrum. In the 1890s, the power lines that delivered the new mains electricity to factories and houses were standardised at either 50 or 60 Hz (or cycles per second). When public radio broadcasts began in the 1920s, they were mostly in the longwave frequencies under 500 KHz (thousands of cycles per second). As the century wore on, the frequencies used by new and improved technologies became higher and higher. In the 1930s and ‘40s, medium and shortwave frequencies (between 500 KHz and 1700 KHz) were utilised, while in the 1950s the Very High Frequencies (VHF) of 30 – 300 MHz (or millions of cycles per second) were employed for both radio and TV broadcasting. [W]ith frequencies of up to 70 GHz envisaged, yet more power will be required for effective transmission of its millimetre waves. During World War II, a method was discovered for generating even higher frequencies, between 3 and 30 GHz (thousands of millions of cycles per second), which became the basis for radar. With each escalation in frequency, more power was required to transmit the radio waves. The advent of mobile phones, smartphones and Wi Fi, brought into widespread use the Ultra High Frequency (UHF) part of the spectrum (300 MHz – 3 GHz) for signal transmission. Transmission in these frequencies demands more than ten times the power needed for VHF transmission. Today, poised at the threshold of the new era of an Extremely High Frequency “electronic ecosystem”, with frequencies of up to 70 GHz envisaged, yet more power will be required for effective transmission of its millimetre waves.17 Then the natural environment will be fully saturated with an invisible fog of radiation (fig. 7). 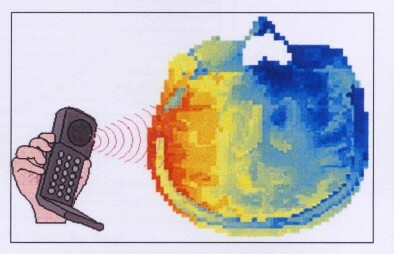 FIGURE 7: Human induced electromagnetic radiation, showing frequencies in cycles per second. In this brief historical sketch, we see higher and higher frequencies forming the basis of each new technological innovation. As each one of the new technologies was introduced, human beings became a little more disassociated from the natural world. Consider how this happened. From the 1890s onwards, the supply of mains electricity to homes, schools, hospitals and factories caused a revolution in living standards, liberating humanity from subservience to nature’s cycles of day and night, summer and winter, by giving access to a new source of light, warmth and power. Then, in the 1920s, radio enabled people to communicate over vast distances, and brought the voices of kings and politicians, singers and poets into our living rooms, even though they were not physically present. In the 1950s, television intensified the experience of an absent yet present world, conveyed by the moving image. I remember as a child the addictive quality of television: one is drawn out of oneself and away from awareness of one’s immediate surroundings into the fascinating world of images on the screen. Smartphone addiction both dislocates users from their own inner centre of stillness, and at the same time disconnects them from the natural environment. With the advent of the smartphone, the trend towards addictiveness was greatly strengthened, partly because the screen became a portable interface with the Internet, and partly because of the deliberately exploitative policies of Facebook, Google and others to hook people into an addictive relationship to their devices.18 Smartphone addiction both dislocates users from their own inner centre of stillness, and at the same time disconnects them from the natural environment. 5G will further accentuate this tendency for people to lose themselves, and it will weaken even more their relationship to nature, for it promises to make advanced immersive Virtual Reality accessible to all. While VR headsets have been commercially available for some time now, VR is still in its infancy. The next development in VR technology is to supplement the headset with a “haptic suit”, which enables the wearer to experience sensations of touch – pressure, warmth, hardness, softness, moisture and dryness – in virtual reality. 5G will further accentuate this tendency for people to lose themselves, and it will weaken even more their relationship to nature, for it promises to make advanced immersive Virtual Reality accessible to all. People will become adjusted to regarding the virtual world as having as great a claim on their attention, their emotions and thoughts, as the natural world. The temptation will be to give their loyalty to that which not only undermines their relatedness to nature but also, through its assault on the imagination, has a corrosive effect on the inner life of the soul. The confusion will only be exacerbated by a huge increase in the use of 3D holographics that will give virtual entities the ability to incarnate electronically in the physical environment. The temptation will be to give their loyalty to that which not only undermines their relatedness to nature but also, through its assault on the imagination, has a corrosive effect on the inner life of the soul. This is what the saturation of the world with extremely high frequency millimetre waves will enable. The waves themselves are only part of the issue: it is the technologies that ride on the backs of the waves and their impact on our inner life that should also concern us. But if 5G promises to radically alter the experiential world we inhabit in these ways, there is something further that we must understand if we are to grasp what is really being prepared. 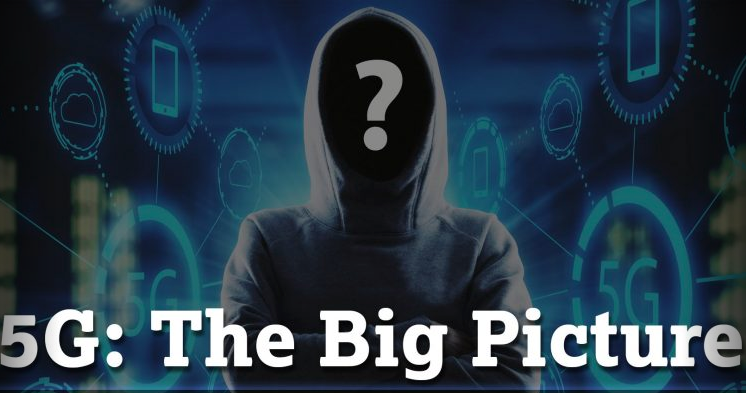 At the same time as increasingly sophisticated technologies increasingly disconnected human beings from the natural world, a network of electronic “intelligence”, global in extent, gradually emerged. At first it was under close human supervision, but it has steadily grown more autonomous. a network of electronic “intelligence”, global in extent, gradually emerged. At first it was under close human supervision, but it has steadily grown more autonomous. Consider the difference between radio broadcasting and the Internet: the former is under tight human control and serves a very specific purpose, whereas the latter has established itself as a permanent, constantly available electronic infrastructure of undefined scope and reach. What has been happening over recent decades is the increasing co-ordination of intelligence- endowed machines, so that they operate without need of human supervision. The efforts now underway to create a 5G electronic ecosystem are the necessary precondition for developing and perfecting a global Artificial Intelligence network, which feeds on the very fast transfer of large amounts of information. This global electronic “brain”, innocuously called the “Internet of Things”, is already impacting on our lives. But the reality is that The Internet of Things is itself the precursor to what has been called the “Internet of Thinking”, in which human beings will find themselves having to live in relationship to the vast global electronic intelligence. Through the Internet of Things, more and more things will be linked to the Internet and made “smart” by being given the ability to function autonomously. On smart motorways your car will drive itself while you, wearing your VR headset and haptic vest, play interactive computer games in the back seat; and in your smart house your fridge will autonomously order more eggs, milk and cheese for you via a wireless connection with a supplier. But the reality is that The Internet of Things is itself the precursor to what has been called the “Internet of Thinking”, in which human beings will find themselves having to live in relationship to the vast global electronic intelligence. It will be active everywhere in our environment and we shall be obliged to interact with it in order to accomplish the simplest of tasks.20 In the Internet of Thinking it is not hard to see the lineaments of an electronically supercharged totalitarian state, with unprecedented control over the minutiae of individuals’ lives. As our world is increasingly smothered by a fog of radio waves, microwaves and millimetre waves, it may seem that the gods of the Underworld have taken hold of humanity in an ever- tightening grip, drawing us towards the false lights – the illusory lights of the hell-beings and hungry ghosts that the Tibetan Book of the Dead long ago warned against. The electromagnetic energies that we have summoned, and which promised to give us new powers, now appear to be overpowering us, carrying us down into an Underworld realm of hellish entertainment and distraction, of illusion and disconnection from the reality that really matters – the reality of nature and the spiritual order that infuses nature, the reality of fellow creatures with whom we share our world, living in soil and sky and walking the Earth beside us. We must ask: Does the Earth need an electronic ecosystem? Is it going to benefit in any way from being irradiated with millimetre waves? Is there actually any need at all for 5G? Can we even remotely conceive that 5G is the answer to any of the pressing ecological, social and spiritual problems that face us today? We stand at a dreadful threshold, and yet surrender to despair cannot be the right response. What can we do? But as well as protest there is something further that needs to be done, and that is to bring spiritually informed understanding to the deeper significance of the global electronic brain whose emergence 5G will hasten. To this end, we need to develop a clear perception of the moral quality of electricity, the better to recognise the kind of spiritual entity or entities that it serves. [T]here is something further that needs to be done, and that is to bring spiritually informed understanding to the deeper significance of the global electronic brain whose emergence 5G will hasten. This points to a third thing we can do, which is really the foundation of everything else. It is to rebuild our relationship to the light, which in its selfless benevolence and purity greets us every morning, and which, unlike the false and illusory electronic lights that would lead us into the Underworld, beckons us in a quite different direction, towards our essential humanity. Through a deepened meditative relationship to the light, practised through the hours of the day and the seasons of the year, we can nurture a relationship to the inner light that is the source of all that is creative and good in the world. This inner light the Christian tradition knows as the cosmic Logos. As the curtain of electrosmog is drawn across our world, we are presented with a sacred task that, come what may, we attend to all that the light has to give, for therein lies the divine Saving Power. 11 The Department for Culture, Media and Sport and H. M. Treasury, Next Generation Mobile Technologies: A 5G Strategy for the UK,March, 2017, which sets out the government’s strategy for the roll out of 5G, does not mention health and safety precautions. 17 Ofcom, Enabling 5G in the UK (March, 2018), pp.3-4. 18 Jacqui Goddard, “Facebook exploits human weakness, admits former boss Sean Parker” The Times, 10th November, 2017. 19 Ovum, “5G Economics of Entertainment Report”. See note 14 above. 20 Maynard Williams, “Welcome to the Internet of Thinking”, The Telegraph, 8th May, 2018. 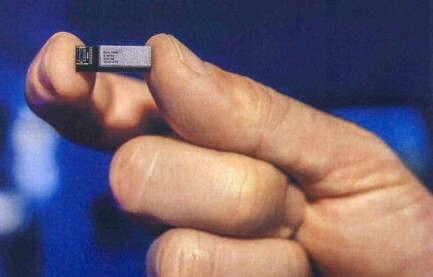 21 Nokia White Paper, 5G – a System of Systems (www.Nokia.com). 22 The appeal can be accessed at www.5gspaceappeal.org. 23 Rudolf Steiner, Anthroposophical Leading Thoughts (Forest Row: Rudolf Steiner Press, 2007), p.218.